Elise is a feisty, Missouri born, adventure seeker with ever-changing hair colors. She is never quite satisfied in life, and is constantly pushing herself to create, and never stop learning. 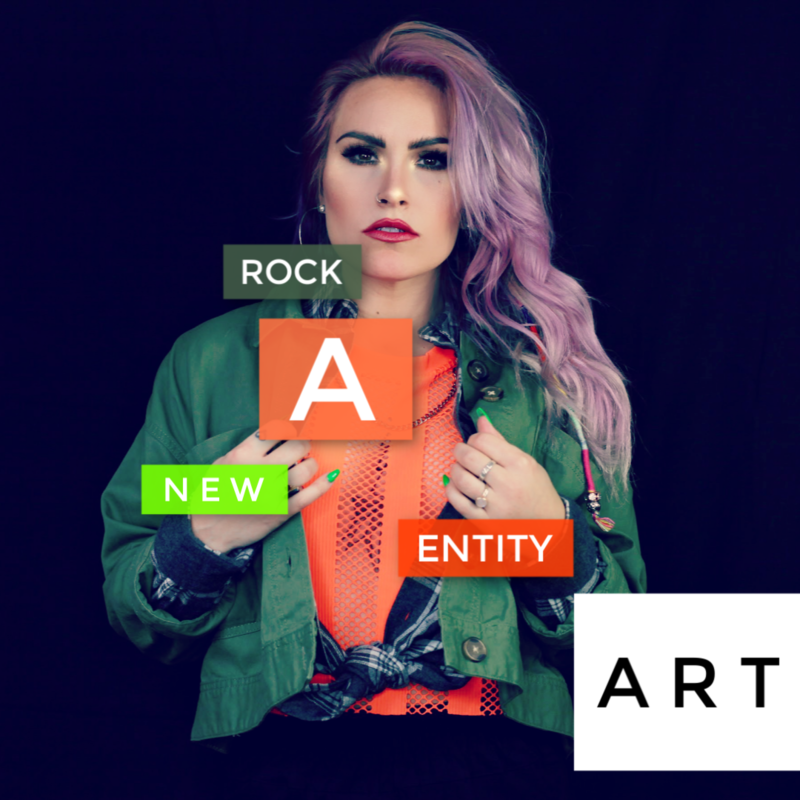 Rock A New Entity simply means to "emit a new thing"-- blaze your own trails, be ever-changing, be you, MOST IMPORTANTLY BE DIFFERENT. Elise's artistic works directly reflect her exploration of different techniques, mediums, materials, sizes, and color schemes. Coming from a long line of Spanish artists, Elise's natural talent is apparent in her complex use of colors, layers, and textures. Although she did not really delve into her innate artist persona until her mid twenties, she has quickly begun to make waves in the Midwest art community. She draws from the conclusions she has found in her life thus far, and explores the impact a positive mentality can have on all life experiences. Her passion for life, growth, and the power of the mind is apparent throughout her work. Currently she resides in St. Louis, Missouri where she also co-owns and designs her fashion brand, YING YING YING with her partner. RANE © COPYRIGHT 2019. ALL RIGHTS RESERVED.